POP. 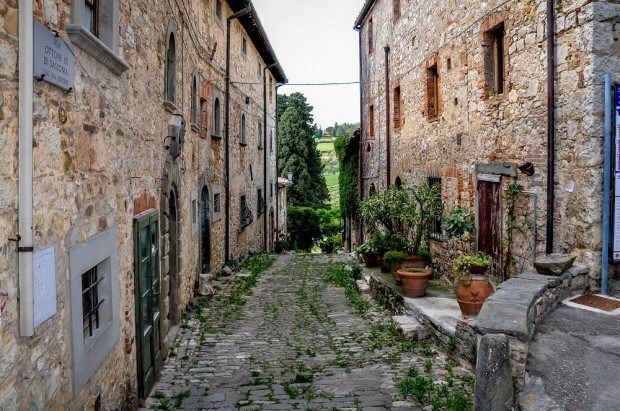 The sound reverberates off steel tanks and stone walls across Italy. It’s the sound of a cork coming out of a wine bottle, and it’s one of the best sounds in the whole world. It’s a sound full of anticipation. 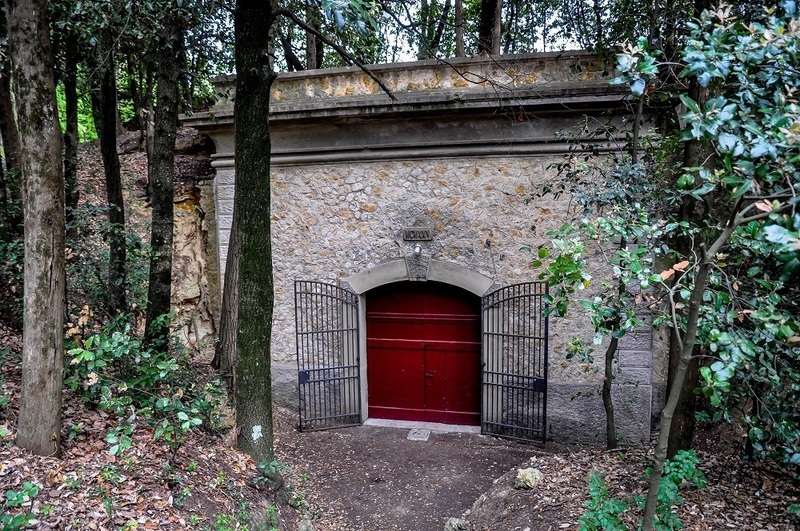 On the last Sunday in May, that same sound will lure Italians into skipping church and taking communion of another sort: partaking in the Cantine Aperte wine festival. One of the biggest reasons for our trip to Italy was to celebrate Laura’s birthday in style. More than anything, she wanted to experience the events around Cantine Aperte. 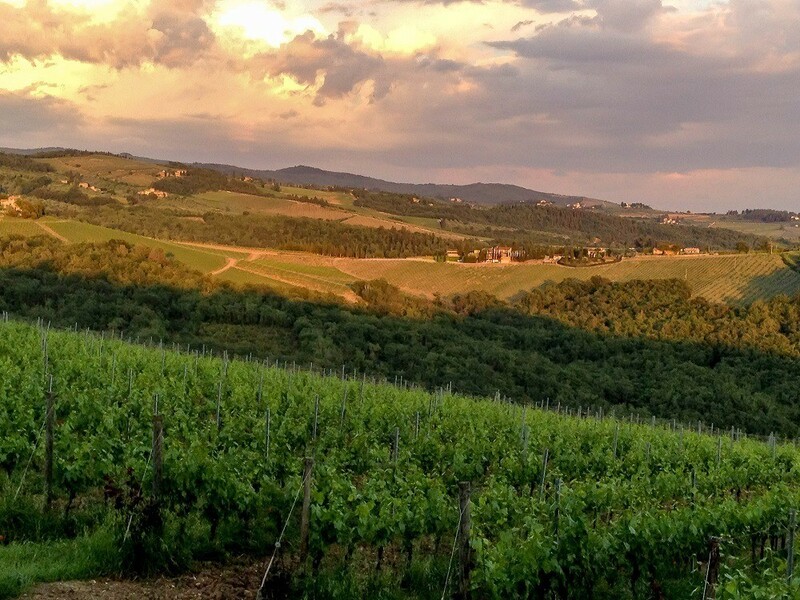 With our eyes set on Italy and our ears tuned to the popping sound, we headed for the Italian vineyards. 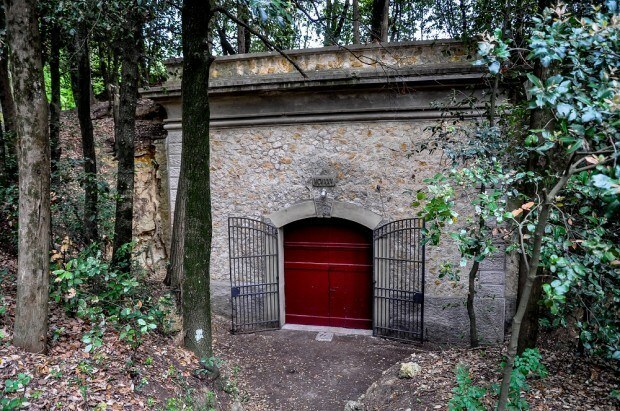 What is Cantine Aperte? This is a special weekend when wineries in Italy open up their facilities to the public for tours and tastings. Unlike wineries in most other parts of the world (Napa, Portugal, South Africa, etc. 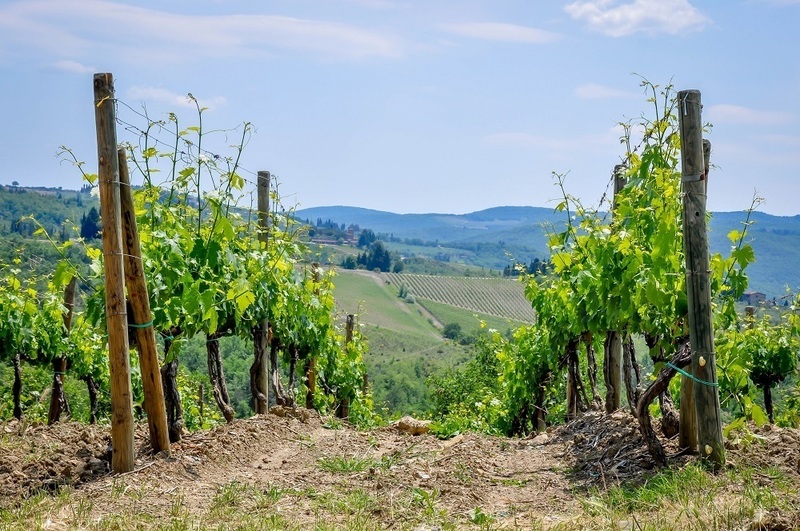 ), in Italy, most wineries are “by appointment only.” So the Cantine Aperte Italian wine festival, which literally means Open Cellars, is one of the big events where you can just drop in and check out a local vineyard in Italy. Our first stop was Villa Vignamaggio near Greve in Chianti. For Cantine Aperte, they opened the doors wide to their production facility and had their massive steel tanks polished up for the influx of visitors. We arrived right as a tour was departing – in Italian. Turns out, they didn’t have anyone there who could speak English. We quickly left, a bit disappointed in the experience, especially for a big producer. As we made the long drive to the next winery, we were plagued with disappointment and doubt – was it really worth it to come over to Italy for this event? We were nervous as we approached the second winery, Villa Cafaggio, but it could not have been a more different experience. Our host practically rolled out the red carpet for us. We were treated to a private tour in English and a complimentary wine tasting with antipasto food pairing. The food included prosciutto, pecorino cheeses, and other specialties chosen to complement their Chiantis and Super Tuscans. We bought several bottles to take home with us. 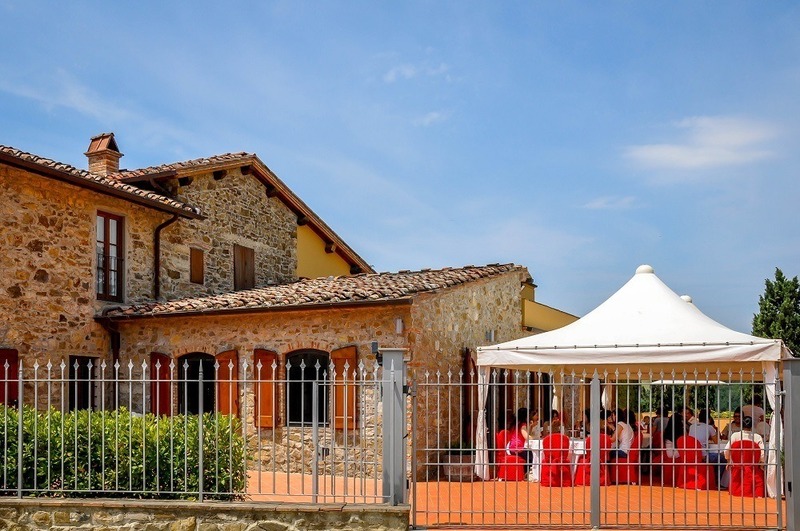 We fell in love with Villa Cafaggio! In the afternoon, we headed on to Castello La Leccia. Despite being listed in the guide as a participating winery, they were actually closed. Around the corner, we stopped at Rocco delle Macie. 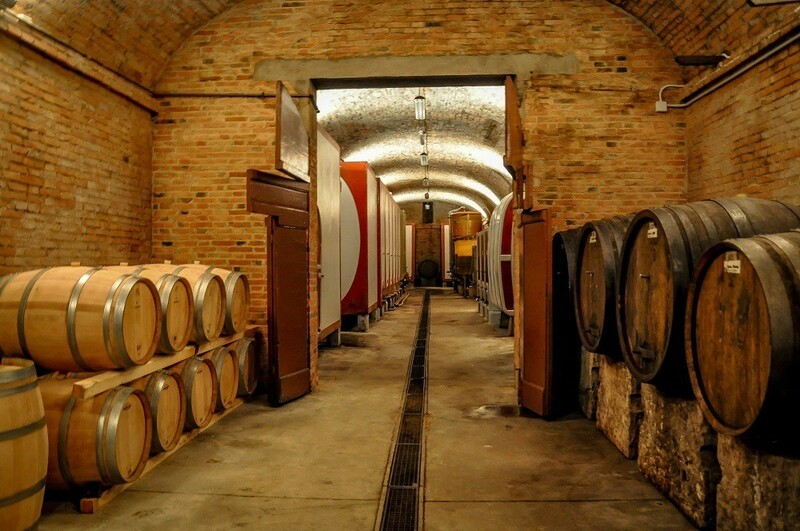 This massive winery had their storeroom open for free tastings and had English-speaking staff. They had tours, but they were only offered sporadically. We sampled several wines, but weren’t feeling them. The wines are widely available in the US, so it didn’t make a lot of sense to purchase anyway. Next, we stopped at Castello di Fonterutoli, owned by the Mazzei family since…forever. This big winery was only offering tours of the mega, ultra-modern production facility. We decided to skip it. However, up in the quaint little town above (also entirely owned by the Mazzei family) they did a four wine tasting in their store for €5.00. The wines were exceptional and we ended up purchasing several bottles to take back with us. From there, we drove a little over an hour away towards San Gimignano. We stopped our last Cantine Aperte winery – Fattoria Il Piano. This was perhaps our favorite winery of the whole day. 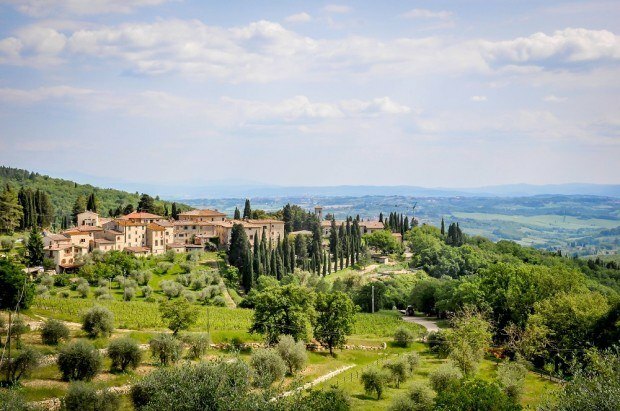 Fattoria Il Piano sits atop a hill across the valley with stunning views of San Gimignano and a beautiful cypress tree-lined drive. We caught them at a busy time and had to wait a few minutes for help, but it was well worth it. We had a wonderful tour from a Canadian woman who was helping as a favor to the family because they needed an English speaker. They provided a free tasting and had some salami and bread as accompaniments. We ended up staying over an hour and took in the beautiful property. We purchased a bottle of wine (which, charmingly, came without a label) to take home. It is perhaps our greatest regret of the trip that we purchased only one bottle. They were extremely reasonably priced and it was a fantastic wine. Overall, we discovered that Cantine Aperte is mostly an Italian thing. Despite being produced by the Movimento Turismo del Vino (wine tourism association), this is an event for Italians, by Italians. In other places, they would leverage this event and promote it to tourists, but not in Italy. This is distinctly Italian – and we enjoyed it immensely. Unlike other wine producing regions, where most tastings are free, we found that about half the vineyards charged for wine tastings in Italy, while half had free tastings. We also learned, that among Italians, Cantine Aperte has a kind of “booze cruise” reputation, so it’s not perceived to be for serious wine aficionados. Regardless of perception, we were happy to be able to drop in on wineries without an appointment and sample their wines. Cantine Aperte 2018 was May 26-27, 2018. Cantine Aperte 2019 will be May 25-26, 2019. What do you think about Exploring Italian Wineries During at the Cantine Aperte Wine Festival? Love this region. We were there in 2005 and only able to spend a day in the Tuscan countryside. Spent some time at a winery that I unfortunately can’t remember the name now. Ahhh, I miss Italy. Heading back this next summer for a few months. Will make sure to add this to the list of place to explore.